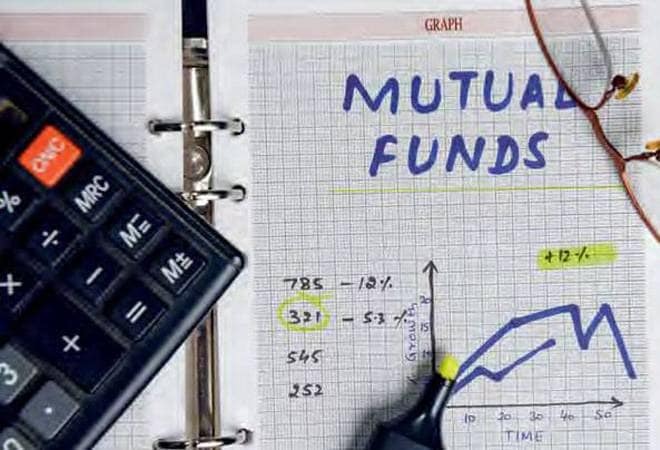 Mahindra Mutual Fund's fresh NFO kicks off on Friday; should you invest? The minimum investment amount is Rs 1,000. The NFO will primarily invest in stocks that are expected to benefit from growth in income and consumption in the rural sector. Indian economy is known to work well when rural economy does well, and this fund is planning to capitalise on this theme. Mahindra Mutual Fund is coming up with a New Fund Offer (NFO) -- Mahindra Rural Bharat and Consumption Yojana -- which is an open-ended scheme. The new fund offer will kick off on October 19, 2018 and close on November 02, 2018. The minimum investment amount is Rs 1,000. The NFO will primarily invest in stocks that are expected to benefit from growth in income and consumption in the rural sector. Indian economy is known to work well when rural economy does well, and this fund is planning to capitalise on this theme. Should you invest in this scheme? When the global economy is going through a phase of high volatility, a theme based on internal consumption looks promising as there is wide consensus on long-term growth potential of Indian economy. "We expect India's positive demographic dividend and improvement in consumption pattern from rural India to contribute to higher GDP. Mahindra Rural Bharat and Consumption Yojana provides investors an opportunity to participate in India Growth story predominantly in rural India by investing in a well-diversified equity portfolio of fundamentally strong and well-known companies," says Ashutosh Bishnoi, MD and CEO, Mahindra Mutual Fund. The fund will be classified in multi-cap category, where it will get the flexibility to invest in all categories of companies based on different market conditions. V Balasubramanian, Chief Portfolio Strategist (Equity), Mahindra Mutual Fund said that the fund would follow a bottom-up stock-picking approach and invest in BSE500 stocks. Mahindra Mutual Fund is around two and half years old. As per AMFI data, the fund house has total average asset management of Rs 4,336 crore. Of this, around Rs 1,000 crore is in equity fund while rest is in debt and hybrid schemes. The fund has another fund - Mahindra Mutual Fund Badhat Yojana - in the multi-cap category. India is a rural country predominantly with around 68.8 per cent of its population residing in rural areas as per census 2011. Rural areas contribute 46.9 per cent to the net domestic output. Rural population is a big contributor towards consumption growth. Also, a good monsoon for two consecutive years, hike in minimum support price (MSP) and direct benefit transfer are going to drive the disposable income up in the rural areas. Therefore, the theme looks promising, believe experts. FMCG, which has a significant present in rural market, has been one of the most resilient sectors. Talking about the potential of this rural theme, Tarun Vohra, Founder and CEO of Integra P.R.O.F.I.T., a Delhi-based wealth management firm, says "The rural population indicates a demographic dividend in that they are young and will generate disposable surpluses that will feed into increased consumption patterns not restricted to traditional FMCG items but their consumption would also envelope and manifest itself in luxury items over time." Given the significant push which the government has given to rural infrastructure in terms of rural roads, electrification, and linking Gram Panchayats through optical fibre network, the rural economy is getting more and more integrated. This creates enabling platform for existing businesses to grow and new businesses to emerge. "New players are emerging, which are primarily focused on capitalising on the rural economy consumption boom and existing FMCG, consumer staple as well as auto and two-wheeler companies are reinventing their businesses to enhance their sales and service capabilities in tier three and four and rural areas to cash in on the rural consumption boom," adds Vohra. India is world's second largest populated country and has one of the highest working age population. "India with a population of over Rs 130 crore has a demographic dividend which provides a boost to the consumption theme. India is expected to be the third largest economy by 2030, and thus consumption theme will be structural from a long-term perspective," says Vijay Kuppa, Co - Founder, Orowealth. New fund offers should generally be avoided by retail investors until and unless they have the knowledge and truly believe in the theme. Therefore, those who are the believers of this theme can allocate a small portion of their portfolio to the fund. This is a thematic fund with concentration risk, so ideally not more than 5 per cent of the portfolio should be allocated to this fund. It is always advised that thematic or sectoral funds should never form the core of your portfolio. Kuppa of Orowealth also agrees and advises to limit one's NFO allocation to five per cent of the overall portfolio.